It is an annual event, now in its fifth year - the moment our luxury soothsayers look into their diamond encrusted crystal ball and discern which of 2015's new openings will be the MOST fabulous. We confess we haven’t relied on crystal alone - We thank ILTM Cannes (www.iltm.com), where the luxury trendsetters meet each December for added inspiration and information. Wouldn’t miss it. 2015 has so many great openings we couldn’t mention them all - Oetker Collection’s The Lanesborough London, St. Regis San Clemente Island, Venice, Mandarin Oriental Marrakech, Hotel Chelsea New York, Angama Mara Kenya - but don’t worry, we will. That’s why we’ve start a whole new section, Hotel Openings (you ask, we deliver). So you can find the very best of new luxe throughout the year. The Knickerbocker was an historic hotel, first opened in 1906, at the southeast corner of Broadway and 42nd Street in New York City. Could here be a more evocative address? Channel a French courtesan of the decadent Belle Époque with a stay at the just-opened Maison Souquet. The most sparkling hotel of the year (literally) has to be the new Baccarat hotel situated opposite the Museum of Modern Art. The much-anticipated Gainsborough Bath Spa will be YTL's first UK hotel. This is the one we’ve really been waiting for. The legendary Ritz Paris is finally re-opening its elegant doors on Place Vendôme in 2015. Jessica Gold went to South Africa and fell in love with the animals and the sunsets and the wild, wide sky and a year later she’d bought her own safari lodge and moved there. 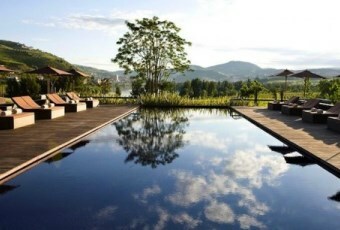 Six Senses is bringing its brand of eco-friendly barefoot luxury to Europe in mid-2015. If ever a hotel was created with passion this one is this family owned boutique hotel has been lovingly nurtured by Andrés Soldevila Ferrer. Soho house group are known for their unique blend of cool club and hot hotel, gathering like-minded creative types together in one place. Sail away from the safe harbor. Catch the trade winds in your sails. Explore. Dream. Discover.